I’ve grown used to not fitting in. That’s not a plea for sympathy or a “poor me” just an expression of the status quo. I moved to the west of Ireland from London in my teens. Even though I’ve now lived most of my life in Ireland, even though I care very deeply about what goes on here, even though I have dear friends and family here, even though Ireland is my home, on some very basic level I will always be an outsider. Those formative years in London shaped me in a way I just can’t change. They shaped my sense of humour, my political leanings, my values – my reticence. A million little things that make me who I am. Over the years, on days when that cultural gap felt a little too wide, I thought at lot about where I’d come from, where my family had come from. Having an Irish surname has always been a bit of a double edged sword. One the one hand it proves the fact that I have some Irish roots, on the other hand – it’s spelled wrong. I get corrected all the time on that. Everyone knows how you spell “Reilly”. So a few years ago I decided to find out where the Rieley came from. Find out where those Irish roots actually were. How hard could it be? Now, I had some experience of genealogy. My first job after leaving school was working for the Sligo Family Research Society and helping people find their relationship to Yeats. I knew there were one or two issues with the Irish records but I didn’t think I’d have to go back that far. As far as I knew I would have been able to play on the Irish soccer team – not because I can kick a ball of course, but because my grandfather was born here. I knew that my dad had been born in India – that’s him on the left in the picture at the top of this post – but I remembered a story my mum had told me about him applying for an Irish passport at some stage but being told the records had been lost in the Four Courts fire. I knew my grandfather had been born at the end of the 19th century so I didn’t think I’d have much difficulty finding him in Ireland. I started to look for my grandfather and almost immediately hit a brick wall. Apart from one marriage record I couldn’t find him anywhere. I ordered a copy of certificate and found out his father’s name and the fact that he was a bank manager but apart from that, there was nothing. I decided to go back a step and try to find my father’s birth record so I turned to the records of the British India Office and the East India Company, as well as the records painstakingly transcribed by the group FIBIS, the Families in British India Society. With a crash the wall came tumbling down. I found my dad – and my grandfather – and my great grandfather. They were all born in India, and married in India and died in India until my grandfather took wife and children back to England. The more digging I did the more people I found, great sprawling branches of people – all of them born and bred in India. I was back to 1820 and had yet to find anyone who had been born in Europe. I was puzzled with what I found. How had I got it so wrong? Was I misremembering? Over the years I kept digging as more records found their way on line. I started to discover what jobs people had and time and again, when I did further research, I found that these were typical jobs for Anglo Indians. Could that be a reason why I had heard nothing about this Indian past? Why the Four Courts fire seemed so convenient? Had my family tried to “pass”? I knew that to be considered Anglo Indian the Indian generally passed down through the maternal line. These were the children of Indian women who had children with European men. Could one of the women in the records have been Indian? The names really do not help. My best bet is that she was the Sophia who married a Patrick Rieley in Madras (now Chennai) in May 1819. She had grown up in the Female Orphan Asylum. Patrick was a teacher in the Free School. 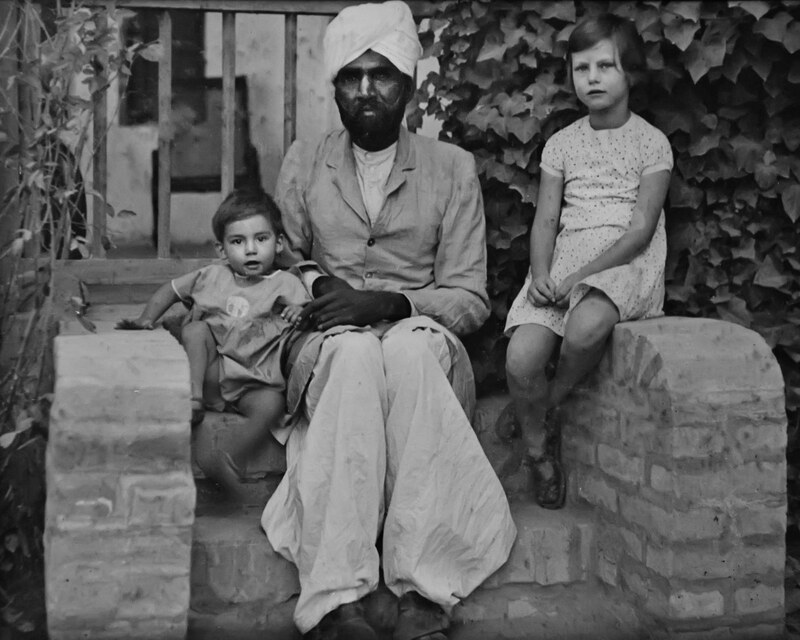 The children who went to both the male and the female orphan asylums in those days were often the children of Indian mothers and fathers from Europe. The fathers’ would leave and the mothers would have no way to look after their children – so they would leave them at the orphanage, where the church tried to turn them into useful members of society. I can’t find Sophia’s birth record so I don’t know for certain, but along with everything else this is what fits. It explains a lot, looking at that sprawling tree. It explains why my grandfather’s brother Terence, who ran away to sea and went to America, would tell the Federal Census that he had been born in Ireland. It also explains perhaps, why he wrote on his draft registration for the First World War, that he was a citizen or a subject of India. It explains why they were such a close knit family, never moving far away from each other, intermarrying – because they were “that” community – neither one thing or the other – both. My theory is that young Patrick Rieley left Cavan or wherever he was from, having grown up with talk of rebellion. He would have heard stories of 1798 and 1803. He would have perhaps had contact with some of the progressive education reformers around at the time. People like Maria Edgeworth, who thought that Ireland’s troubles could be eased if only the children were taught well and taught together. Perhaps young Patrick thought that he could do something good with that education, that he made his way to India. A generation before he arrived, a teacher at the free school had pioneered the method of peer education known as the Madras system. This system of pupil teachers revolutionised teaching in places with a shortage of teachers. Perhaps Patrick wanted to be part of that legacy. Whatever reason Patrick went to India for – if indeed he was the one who went there – he started a fascinating history. It’s been exciting tracing all those different branches and there’s a lot more work to do. I’ve only found out the direct line. I still don’t know if any branches of the family stayed, if any are still there. I find it hard to understand why anyone would hide such a story – but of course there were, there are a lot of reasons why people choose to do the things they do. This was not and is not a particularly tolerant world. When I was very small, even before we moved to Ireland, I was still used to looking different. Every now and then I would get asked where I was from, because my face didn’t fit the standard British model. Over the years, I’ve been told my colouring came from Spain, or the Celts, or the Baltic. Perhaps the reason for the dark hair and sallow skin actually goes back to Patrick Rieley. I never did find those Irish roots but I’ll keep digging. Maybe some very early records didn’t get burnt in the Four Courts fire. It’ll be fun looking anyway.